This piece is from 1988. It is large, about 13" to the top of the pole. There is no run number on it. 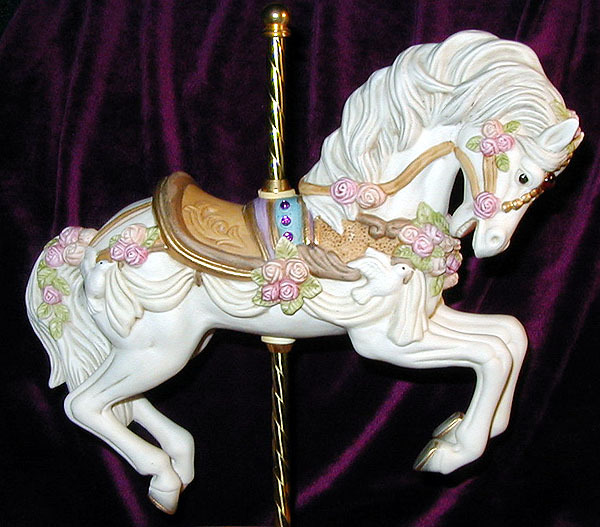 The music-box plays "Carousel Waltz". I'm not sure what this piece cost when new, though I'd estimate it would be around $100-$150 because of its size.